Shared from my Instagram account. 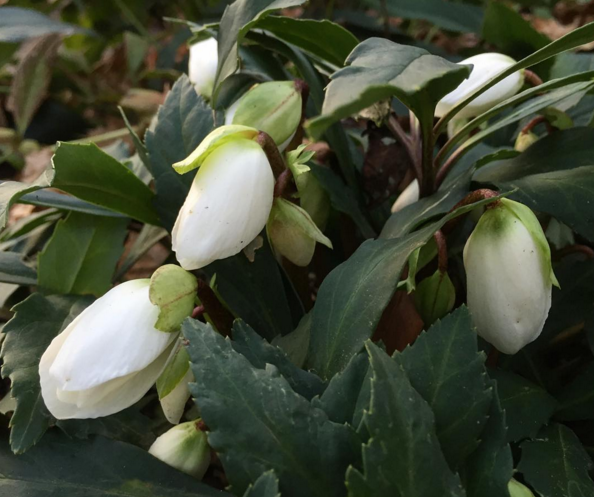 I've never seen any of my hellebores bloom this early, despite reading that they are commonly known as Christmas roses, due to their proximity of blooming so close to the holiday. I'm so glad that I've planted this one so close to the patio, which made spotting it so easy! Do you have any hellebores blooming in your garden at this time?